People were up to the challenge and had hilarious answers, and most of them had no link with cricket whatsoever. Cricket players are getting set for the 2019 edition of the Indian Premier Leauge, which is set to start in a few days. 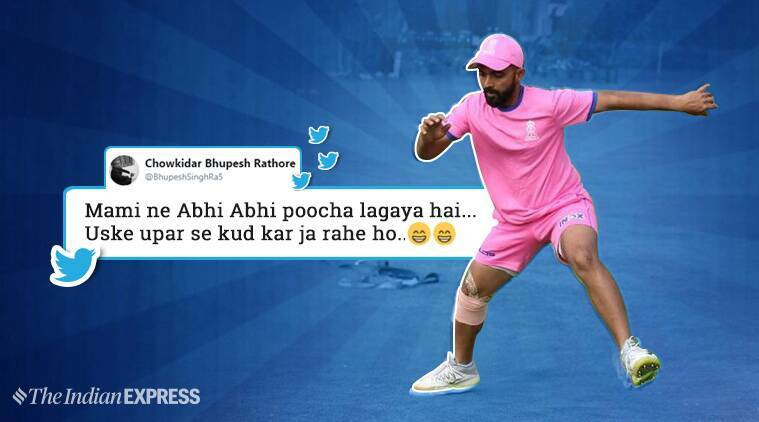 And one photo of Rajasthan Royals captain Ajinkya Rahane has people coming up with their own quirky captions for it. Rahane tweeted a photo of himself during a training session and asked people to guess what he was doing. He may have got more reactions than expected. People were up to the challenge and had hilarious answers, and most of them had no link with cricket whatsoever. While some said it looked like a move from kabaddi or kho kho, others found it to resemble Sunny Deol’s dancing. Rahane’s photo is now a meme. Just remembering “Jumpin’ Jack Flash” by Rolling Stones (1968), and that’s very apt here. What do you think the skipper was doing?